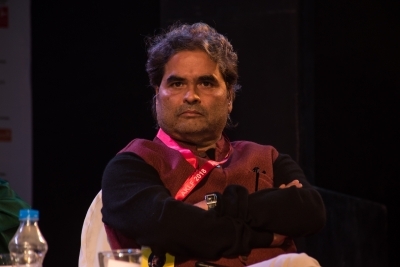 New Delhi, Feb 12 (IANS) Filmmaker Vishal Bhardwaj had adapted two of Ruskin Bond's stories for his movies -- "The Blue Umbrella" (2005) and "7 Khoon Maaf" (2011). The celebrated author says he would love to collaborate with Bhardwaj again and is sure that they will make something soon. "What would I like to show? Hmmâ€¦ I don't know, it's not something that I've thought about," said Bond, whose first book, "The Room on the Roof", was semi-autobiographical.